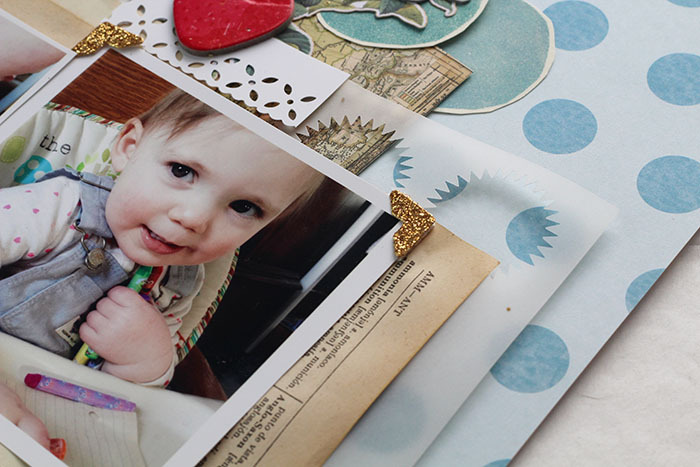 Do you ever get stuck in a scrapbooking rut? Have you tried scraplifting as a form of inspiration? I love to scraplift when I'm feeling stuck, and I'm going to share some tips on how to scraplift a page you love while still making it your own and trying new things at the same time! I recently found this great page by Christy Strickler and knew I needed to use it for my own page inspiration along the way. 1. Identify what you love. Can you figure out what it is about the liftable page you like so much -- colours, textures, a different page design? For me, it was Christy's cascading page design, eclectic mix of paper embellishments, and the painterly look to her page overall. 2. Gather supplies inspired by your liftable page. Keeping in mind what you identified from Tip 1, gather your own supplies. This might mean digging deep and finding stuff you wouldn't normally combine together! I dove into my die cuts drawer for this page. 3. Mix up the colour balance to suit your photos. I used much more blue on my page than Christy did on her's.. which is unusual because I normally gravitate towards white and pink! I took cues from Christy's colourway and modified the balance to work with my pictures. 4. Page design basics. As a rough starting point, try laying your page out to match the page design basics of your inspiration page. Start out with photos, title, and journalling in the same place as the page you are lifting. I tried this with my page but as I worked I kept moving the photos down. 5. Take away design cues. Christy layered and clustered most of her embellishments close to her photos, so I did, too. 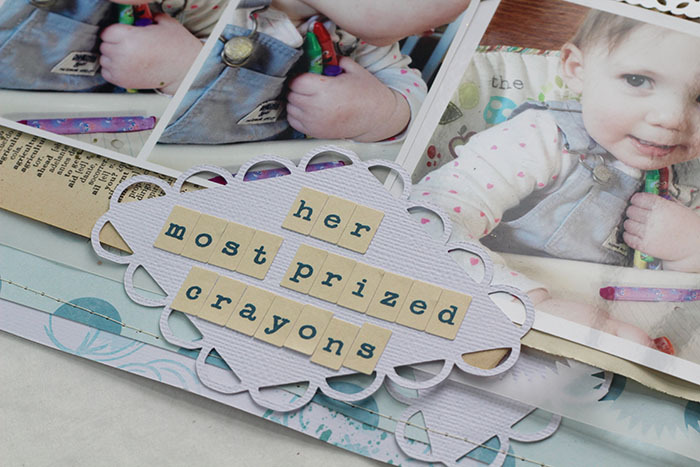 She achieved a bit of page sprawl by moving some elements away from her page's focal point (the photos), so I tried to mimic the same by moving my embellishment cluster towards the top of the page and adding a journalling block near the top, too. 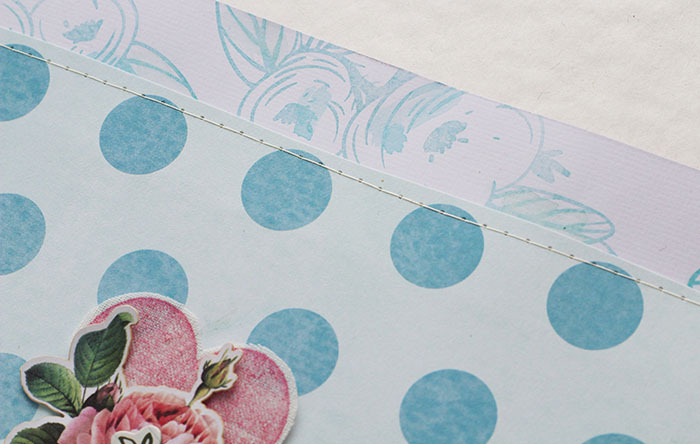 Clustering is a great way to use up some of those die cuts! Mine seem to multiply when I'm not looking, and I bet yours do, too. Here I wasn't afraid to mix images that are unrelated to the page topic: a berry, flowers, and a bird aren't directly connected to the photos, but together they created an illustrated image of happiness and pretty little drawings. 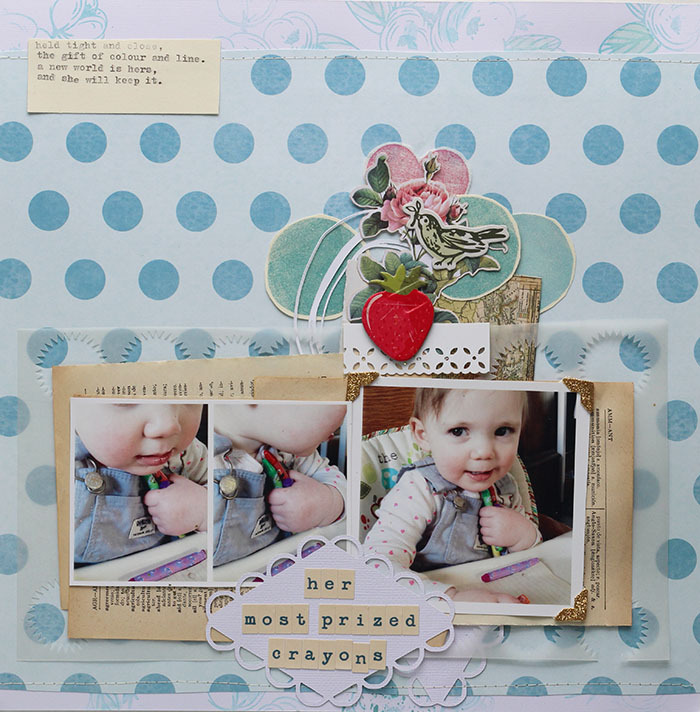 Anchor journalling blocks to visual lines on your layout, like layered backgrounds. 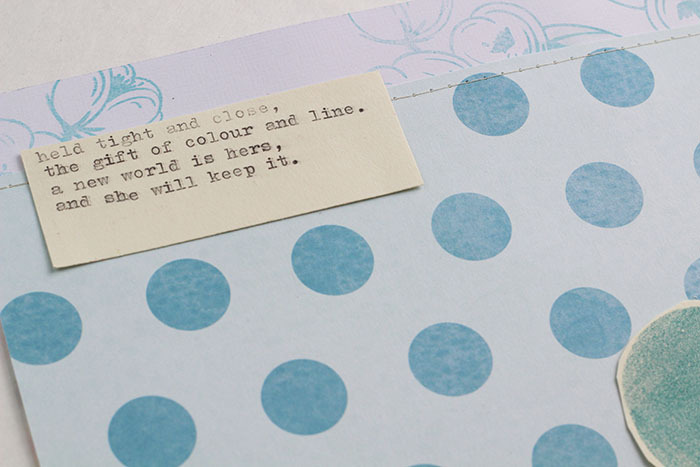 This keeps elements like journalling from feeling like they are floating away on your page. Don't forget your scraps when it comes time to layer! Here I've combined a tiny scrap of paper punched with a decorative edge, a leftover piece of punched vellum, and some book page scraps. A little line of stitching really adds some great detail and texture to a page. Great scraplifting tips. I am in a rut. 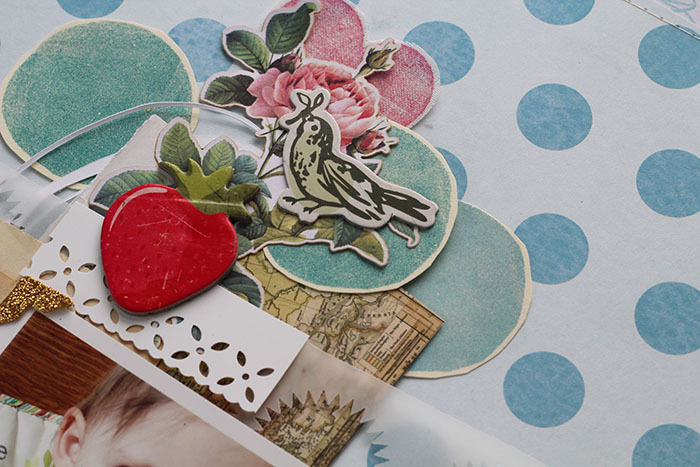 Scraplifting is a great idea to get started again. Beautiful layout! Pinned so I can scraplift in the future!